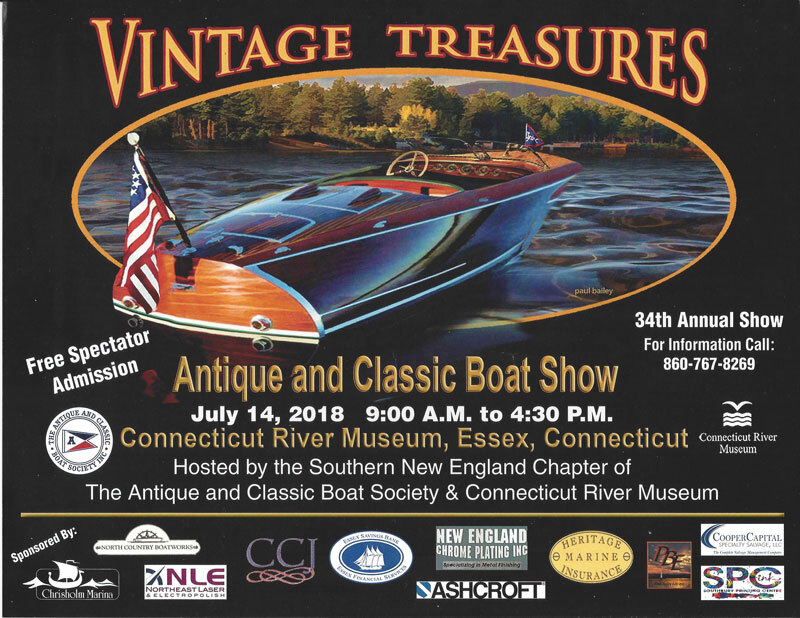 Vintage Treasurers is the theme of the Southern New England Chapter’s Annual Show. This year it is scheduled for Saturday, July 14th. This fall, the Southern New England Chapter will Cruise the Connecticut River! Chapter Member Charlie Hand will be organizing a fall cruise on the CT River on Saturday, September 29, 2018! Save the date now and watch for details later. 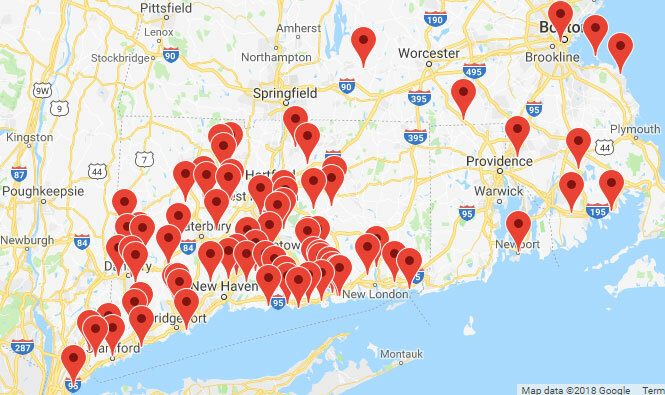 Membership in the Southern New England Chapter is scattered throughout Connecticut but their events draw participants from all over New England. If you are an ACBS member and would like to see the map of your own Chapter’s membership, you need to click on the MEMBERS ONLY tab in the top menu. When you reach your own profile page, click on the name of your chapter (blue link in right-hand column). Click here to look at the map of the 53 ACBS Chapters.